Museums have an increasing role in our cities and history has proven that a museum is much more than an inventory of cultural artefacts. Apart from their representation values, they have become institutions able to revive and enrich not only cultural life of cities but also their economic and political status. Architects had their say on how museums look like, what they inspire and stand for and how people interact with art and history. From the black box to architecture that becomes itself a piece of art, there is a great conceptual palette that speaks a lot about how society is shaped and about people’s views and values. 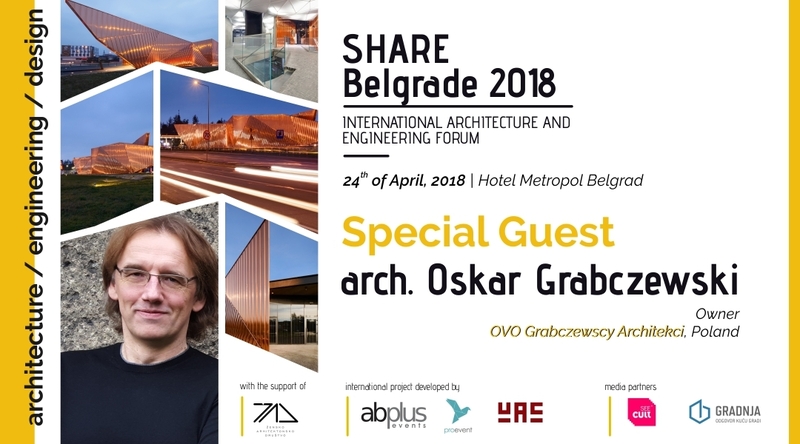 Share Forum aims to give an overview of the most awarded architecture worldwide and to celebrate architectural excellency in the Central and Eastern European countries. We believe that this means tackling with the ideas and concepts behind the projects featured at our events and regard them as the main instruments to understand where we are today and where we are heading to. 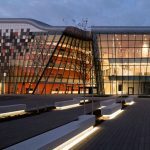 As such, SHARE Belgrade 2018 will bring to its audience outstanding examples of museum architecture, buildings featured in the most respectable competitions and publications of contemporary architecture. 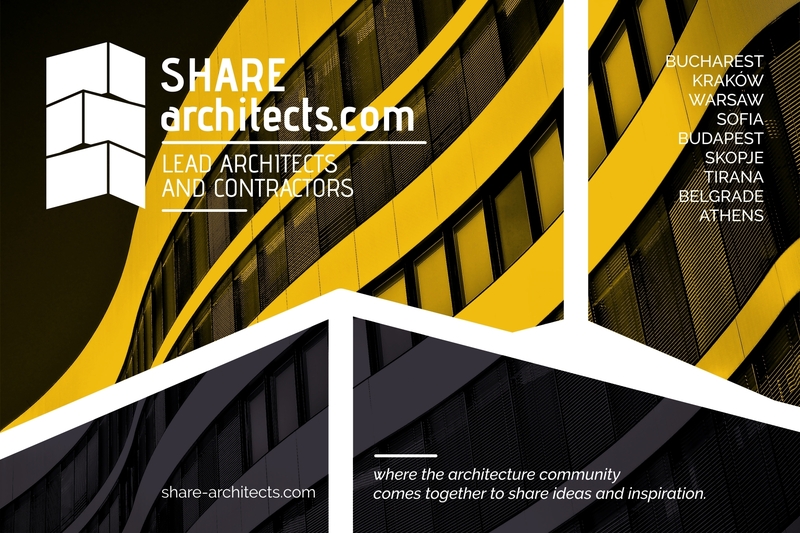 Each year, SHARE Forum has been in pursuit of excellence in the fields of architecture and construction, improving the quality and the complexity of its dynamic events with every edition. This couldn’t have happened without having by our side some of the most relevant figures for the built environment – hundreds of practicing architects and contractors from Europe, Asia and the United States of America – turning SHARE Forum into one of the most important networking platforms for the construction-related fields in the region. Arch. 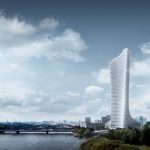 Oskar Grabczewski, partner at the Polish architecture office OVO GRABCZEWSCY ARCHITEKCI, is one of the outstanding architects who joined us in our quest for excellence, sharing with our community the philosophy of their studio. We will have him as our guest speaker at SHARE Belgrade 2018 where he will speak of their Museum of Fire in Zory. The project was featured in Orange Architecture – Arancione – a collection of the best Italian and international architecture where orange is the main feature of every project – along with The Orange House by Yazgan Design Architecture and Blackburn Meadows Biomass Plant by BDP Group, all of them speakers at SHARE Belgrade 2018. The event will take place on April 24 at Hotel Metropol in Belgrade and the tickets can be booked here. 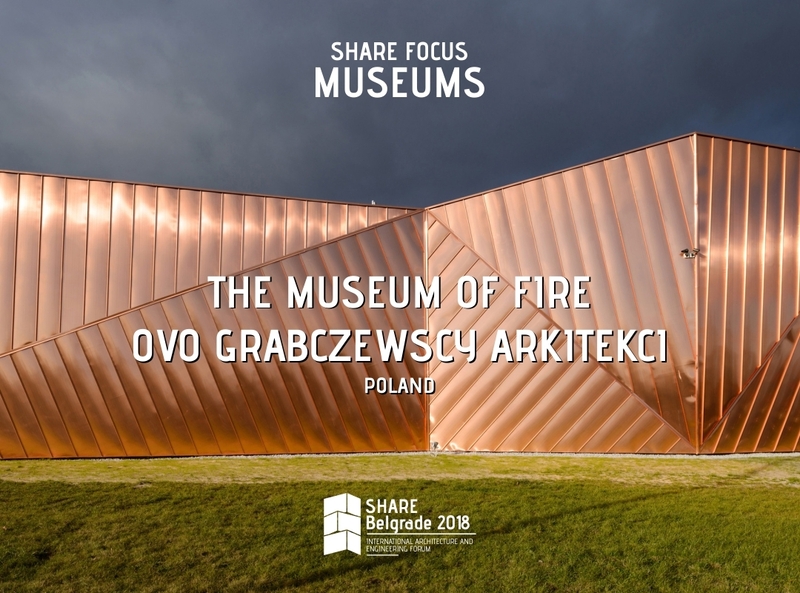 The story of Museum of Fire started when we were asked to design exposition pavilion that should promote the city of Żory and to showcase its offerings to newcomers, tourists, partners and investors as well. The pavilion was to be situated with prominence on an exposed site near the main access road to the city. The plot had a lot of disadvantages, especially a great number of underground infrastructure that left only very strange, irregular shaped piece of land to build on. Our assignment was quite different at the beginning from what happened in the end. We were commissioned to design a promotional pavilion for Żory, a small city of 70,000 people, in Silesia, near Katowice. We have already worked together with the mayoralty Żory, for the design of the ecological museum. They were very glad about our project, for which, among others, we got an award for Young European architects under forty. 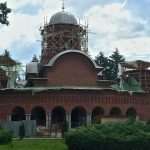 They couldn’t build it because of financial restraints, but they liked our work and decided to commission us for another project. This was a small pavilion, located on the very gate of the city, meant to promote and raise interest for the city to the people passing by. It also had to be a signal, an icon of the city… And we wanted it to be a clear modernist pavilion, like a glasshouse from Philip Johnson… something like this. At the very beginning, we made a big mistake because we figured out that it would be a very simple glass box, a very clear solution. But we got totally stuck in this project. We were not able to go any further because the plot was very complicated. It was disturbed by many underground pipes and in fact we were having two or three weeks left to present the project. We had to make a break, and we made a break. We took a trip to Italy and during the visits I took some sketches with me; one day, as I was sitting there talking to my wife I realized that the shape of the plot and the shape of the building in this plot reminded me of fire. It was a very strange idea, totally abstract, but after that we realized we should start the design from the very beginning… We asked ourselves what is specific for this city, what this building should look like. Suddenly, we discovered – perhaps it was quite obvious but we didn’t see it – that the city of Żory is very strongly connected to fire, because the name of the city translates with “fire” or “flame” in old Polish. It is very strange how we missed this. And then, not only the name of the city relates to fire, but also the history, because Żory was burnt several times by huge fires. In 18th century, it was almost completely burnt down (it was in May), and there has started the tradition of a fire ceremony: the next day after this huge fire, all the people went in a procession to invoke God… And this tradition lasts till today: around 10,000 people are gathering in the evening for a mass in the church, and then they are walking through the city, with fire, torches, and that is the beginning of a festival. When we came up with this history and we understood what we should do, we said we should make this pavilion look like fire. And very fast, like in two days, we made the design that perfectly fit in this complicated plot. The building consists of three independent walls that “swim” next to each other. Their composition and shapes covered with copper plates resemble dancing flames. Spaces between the walls are fully glazed forming entrances to the pavilion. Walls are made of architectural concrete, covered on the outside with copper and left untouched inside. 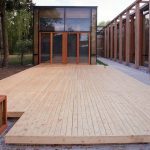 The floor is paved with black stone and continued to the outdoor elements. During the construction, when the ground was excavated, our client came with an idea to use the underground space to place a big exhibition hall there. That’s how we came up with the idea that the whole building should become the Museum of Fire. Finally, the building has three entrances. There is a multifunctional hall and reception/information on the ground floor and an exposition hall underground. With restrooms and technical rooms, the program is complete. Intensive landscaping is surrounding the Museum. 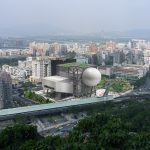 The building and the landscape work together create a symbiosis of space consisting of Museum itself, pedestrian paths running through the pavilion and green walkways. There is a Garden of Fire foreseen – an outdoor exhibition space along the country road no. 81 that will be used during the Festival of Fire.